Trying to decide where to stay in Tokyo? If you’re planning your first trip to Tokyo, you’ve probably realized this city is big. Central Tokyo is made up of 23 wards — similar to the boroughs of New York City or the Arrondissements of Paris — and attractions are scattered throughout. That said, the 23 special wards are only a small portion of Tokyo Prefecture. And popular destinations like Tokyo Disney or Mount Fuji aren’t even in Tokyo. So, how can you find the best location? I understand, which is why I’m sharing nine neighborhoods to base yourself. These places all have great access, things to do, and food to eat. And nearby, you’ll find plenty of Tokyo’s top instagram-worthy spots. Here’s an insider’s guide on where to stay in Tokyo. Possibly the most famous Tokyo neighborhood, Shibuya is a popular place to stay for first-time travelers. Shibuya Scramble, the crossing just outside the station, is the world’s busiest and has been featured in countless movies including Lost in Translation. Right in the thick of things, tourist hotspots are just a couple of steps away when you stay in Shibuya. You can see Hachiko, Shibuya Scramble, Meiji Jingu, and Takeshita Dori all on foot. And located on the Yamanote Line as well as other train and subway lines, you can easily make your way to other sites across the city from Shibuya Station. Shibuya also has plenty of shops and clubs. Shibuya isn’t for you if: you’re over young, loud 20-something year-olds. The area has attractions for all ages, but the area mainly draws those in their teens and twenties. It can also be a poor choice for those with mobility issues. Older parts of the station are a pain to navigate if you need access to an elevator. Outside, many of the streets are small, hilly, and uneven. 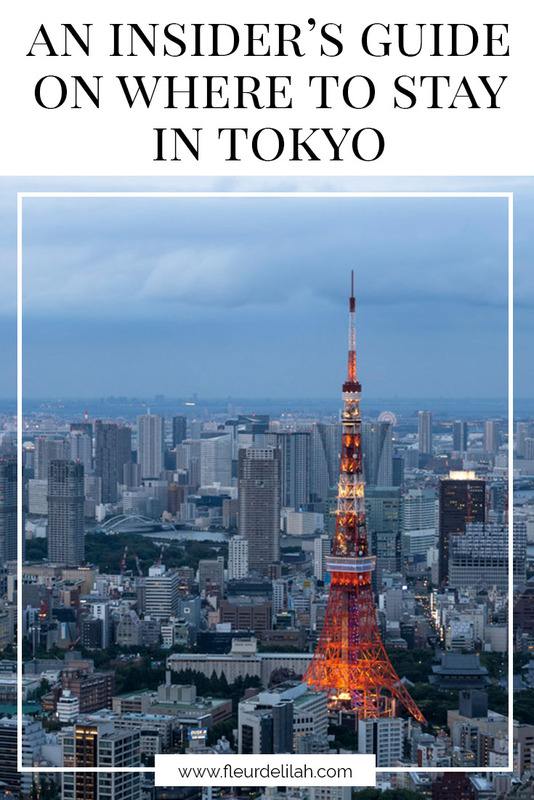 Unsurprisingly, I had to include Shinjuku on this list. Not only because Shinjuku is one of the top nightlife and shopping districts, but because Shinjuku is my ‘hood! Shinjuku is the neighborhood we’ve lived in the longest, where my husband and I got married, and it’s the place we call home. We love Shinjuku. Shinjuku has everything. Shinjuku Station is one of the city’s main transport hubs and offers amazing access to the rest of the city and Japan. Close to the station, you can find tons of shops, department stores, and restaurants. On the east side is Kabukicho, Tokyo’s most notorious nightlife district. And nearby is Tokyo’s gay district in Shinjuku Nichome. Shinjuku isn’t for you if: you get lost easily. The station is huge, and you can get lost in the station if you’re not used to it. The first time I visited Shinjuku (back when I just moved to Japan), I couldn’t find the right exit for about an hour. It was stressful. And don’t stay in Kabukicho with kids. Locals don’t take kids anywhere near nightlife districts — day or night. Right next to Shinjuku, Shin Okubo is a great alternative to its more expensive neighbor. Known as Tokyo’s Korea Town, the area is perfect for those who love Korean music and beauty. Shin Okubo is just a couple minutes’ walk away from Shinjuku. Meaning, you can enjoy shopping, restaurants, and nightlife without having to pay the Shinjuku premiums. Or stay local for delicious Korean food, Korean makeup and skincare, and K-pop goods. And Shin Okubo is on the Yamanote Line — perfect for JR pass holders. Shin Okubo isn’t for you if: you don’t like crowds. The area doesn’t have the big, wide roads and sidewalks of more famous locations. But Shin-Okubo is still super popular, so the main streets are often filled with people. 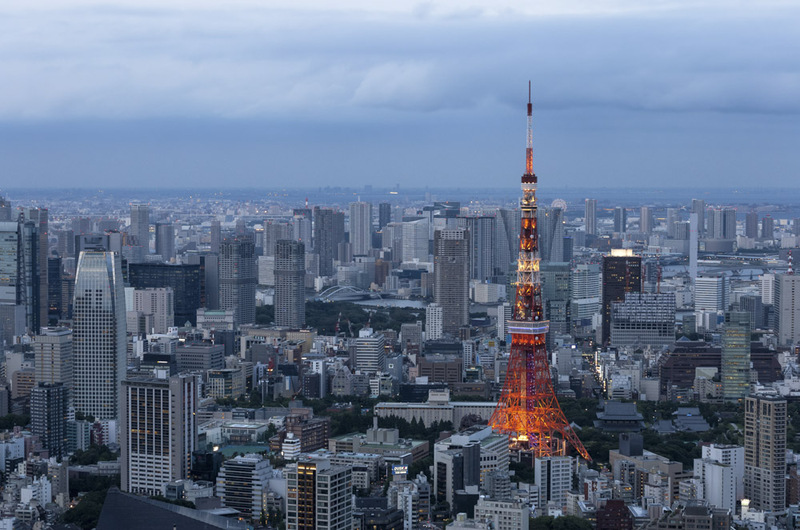 If you want a place with nightlife, museums, and restaurants, then stay in Roppongi. Centrally located with embassies and international corporations nearby, Roppongi is Tokyo’s foreigner-friendly entertainment district. Think of Roppongi as two areas: the more affluent area made up of Roppongi Hills and Tokyo Midtown and the grungier area around Roppongi Gochome. The Hills and Midtown are home to some great dining options. With many high-rollers frequenting the area, you can find a number of Michelin starred restaurants, including L’Effervescence. This area also has some of the best art museums in the city. Conversely, Roppongi Gochome is the go-to nightlife district for most foreigners. Here you’ll find plenty of izakaya, bars, and clubs. Roppongi isn’t for you if: you don’t want the international vibe. Roppongi attracts a lot of foreigners, both travelers and expats. So you’ll find many bilingual speakers in shops, restaurants, and bars. Just south of Roppongi Dori in Roppongi Gochome are a lot of bars and nightlife that aren’t suitable for families. Another great alternative to some of the more frequented locations is Akasaka (not to be confused with Asakusa). This underrated neighborhood is located next to Roppongi and has a more authentic nightlife. Akasaka is extremely convenient. Roppongi and all of its museums and restaurants are only a few minutes away on foot. And with more than three subway stations close by, Akasaka is more accessible than its popular neighbor. Akasaka also has plenty of izakaya and small eateries. Akasaka-mitsuke is a popular place for residents to grab a drink after work. Akasaka isn’t for you if: you want to be located on the Yamanote Line. Akasaka is easily accessible from a number of subway lines, but if you are using the JR pass, you might want to choose another neighborhood. Akasaka-mitsuke has a bit of a reputation as a risqué nightlife destination and isn’t suitable for children. Hamamatsucho is another underrated place to stay in Tokyo. Located on Yamanote Line and the Tokyo Monorail Haneda Airport Line, this neighborhood is perfect for worry-free travel throughout Tokyo. While Hamamatsucho isn’t party-central, it offers unbeatable access across the city. Staying in this neighborhood, you have direct access by train to countless key destinations across the city. These destinations include Haneda Airport, Odaiba, and Toyosu (where you can visit the new Tsukiji Market). And you’ll find Tokyo Tower, the original Tsukiji market, plus a number of beautiful Japanese gardens within walking distance. Hamamatsucho’s lower energy levels and convenience make it a great choice for families. Hamamatsucho isn’t for you if: you’re in your twenties or early thirties and want to enjoy the Tokyo nightlife. Hamamatsucho has some izakaya that are popular among middle-aged office workers to grab a drink after work. If you need a luxury vacation, you need to stay in Ginza. With everything from top luxury brands to lavish Michelin-starred restaurants, this neighborhood is all about indulgence. Ginza is home to the world’s top names in luxury. Cartier, Rolex, Issey Miyake — you’ll have no problem finding the luxury goods you desire. And it doesn’t stop with goods and apparel; you can find a number of Michelin star restaurants ranging from Italian to French to Japanese in Ginza. Also, Ginza is great for those with mobility issues. Though some older establishments may not be as accessible, the wide sidewalks and well-equipped department stores can accommodate anyone who is differently-abled. Ginza isn’t for you if: you are on a tight budget. Most shops, salons, restaurants, and cafes in the area attract affluent customers. Akihabara is the perfect location to base yourself if you love anime, video games, or electronics. Lovingly called Akiba, this town is filled with hobby and electronics shops. Can you imagine a place that is lined with electronics shops? A place that has buildings seven floors high filled with anime memorabilia? That place is Akihabara. Whether you’re looking for Sailor Moon memorabilia or want to buy an original Famicom, Akihabara has it all. Akihabara isn’t for you if: you aren’t into electronics or anime. This area doesn’t cater to much else. Also, most people who Akihabara are men, so you may feel uncomfortable at night if you are a solo female traveler. Marunouchi is the area by Tokyo Station, and it’s where you’ll find a number of five-star hotels. This neighborhood is perfect for those traveling around Japan. If you’re traveling around Tokyo and taking the Shinkansen, Marunouchi is a great place to stay. Within walking distance are multiple train and subway lines, Marunouchi offers easy access around the city. And Tokyo Station is the main intercity train terminal, connecting you to other parts of Japan like Kyoto and Yuzawa. On top of that, Marunouchi is home to the Imperial Palace. Here, you can enjoy taking a stroll through the East Gardens or go for a morning run with locals around the perimeter. Marunouchi isn’t for you if: you want to be near the nightlife. The neighborhood has some upscale bars and restaurants, but it is the financial center of Tokyo and won’t have clubs.